The Trust board’s poor financial management and procurement of an unaffordable PFI scheme have left the Trust in a critical financial position. "The Trust Board’s poor financial management and procurement of an unaffordable PFI scheme have left the Trust in a critical financial position. “The Board developed and enthusiastically supported an unrealistic business case built on over-optimistic financial projections. The regulatory and approval processes did not work in this case and did not ensure affordability. “Irrespective of how far the PFI scheme contributed to the current deficit, the latter is now too great for the Trust to balance its finances by managing its own resources. The Trust, the Department, Commissioners and Monitor need to work together and take urgent action to help the Trust get back on its feet." The board of Peterborough and Stamford NHS Trust failed to recognize in 2007 that a PFI scheme to build a new hospital, Peterborough City Hospital, would place considerable strain on its finances for years to come. According to a report today by the National Audit Office, the then board compounded the decision to proceed with the scheme, which it could not afford, with a failure to monitor other changes affecting its income and costs between 2007 and 2011. The result was that the Trust faced a very large, recurrent deficit once the new hospital opened. The Department of Health evaluated the scheme but was not sceptical enough about its affordability. In 2011-12, the in-year deficit was £46 million and the Trust is predicting an in-year deficit of more than £50 million in 2012-13. Today’s report found that, although the PFI payments and other estates costs would be a challenge for the Trust in any circumstances, past failures in financial management have compounded that issue. Monitor, the regulator of foundation trusts, raised well-founded concerns about the scheme’s affordability with the Trust Board and the Department before the business case was approved. However, neither the Trust board nor the Department addressed these concerns fully before approval of the business case. Monitor considered that its statutory powers to intervene to stop the Trust proceeding with the scheme were limited and their use would have been inappropriate. 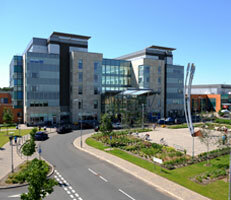 Between the sign-off of the business case in June 2007 and the opening of the new hospital in December 2010, Monitor and the Trust board did not adequately scrutinize the future impact of the scheme on the Trust. Despite its earlier views, the regulator rated the Trust as a very low financial risk, reflecting its reported financial position but this risk rating did not reflect the future impact of the PFI development. Monitor had a number of opportunities to intervene before finally placing the Trust in breach of its terms In October 2011 but concluded that an intervention would not necessarily improve or change the outcome positively. The level of healthcare undertaken by the Trust is also greater than envisaged in the PFI business case, which assumed a 14 per cent drop in outpatient activity whereas this increased by 21 per cent. In addition, NHS Peterborough, the Trust’s main commissioner, which has been in financial difficulty itself, has used national and local performance indicators to withhold payments for activity undertaken by the Trust.